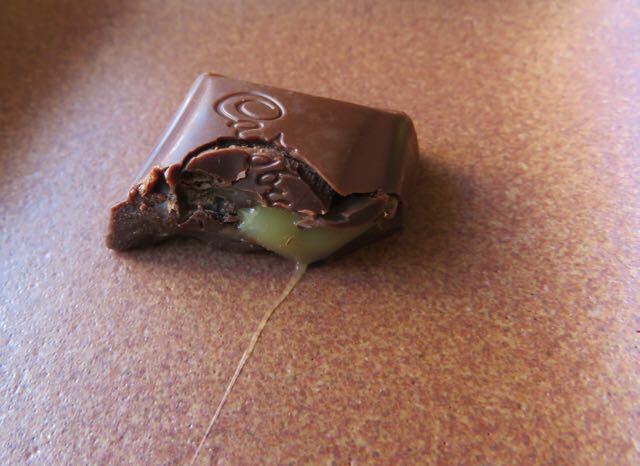 Welcome to Day #5 of Cadbury Chocolate Theme Week. 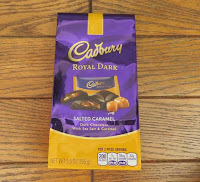 Today's Cadbury Royal Dark Salted Caramel, individually-wrapped 2-bite sized, chocolates from Mondelez were distributed in the U.S. by The Hershey Company (Hershey, PA). 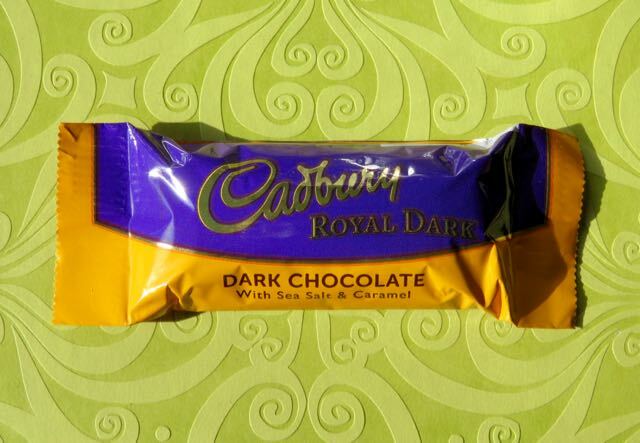 These Royal Dark small 2-square, rectangular chocolates smelled like sweet, dark chocolate. They also contained milk. * A silken, smooth melt and texture was due, in part, to the inclusion of both cocoa butter and milk fat. 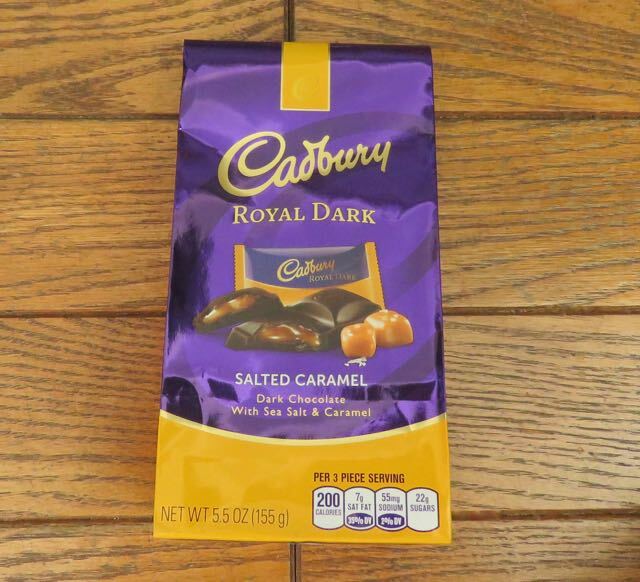 A tasty salted caramel filling oozed out with every bite. 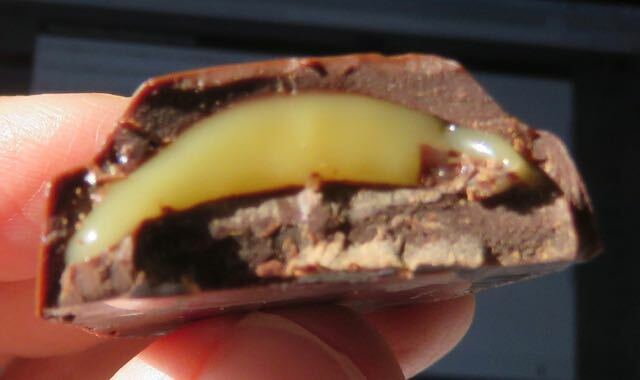 *The chocolates were made with semi-sweet chocolate (sugar, chocolate, cocoa butter, milk fat, natural and artificial flavors, lecithin (soy), milk).